IIT Mandi Recruitment 2019 Research Associate / Project Associate Vacancy – Last Date (Interview) 09 March 2019 (Shimla, Himachal Pradesh), Indian Institute of Technology Mandi (IIT Mandi) recruits Research Associate / Project Associate Post. Candidates with Post Graduate, M.Com., M.Phil / PhD experienced can apply. IIT Mandi Recruitment 2019Research Associate / Project Associate (Post Graduate, M.Com., M.Phil / PhD)Address: School of Humanities and Social Sciences, IIT Mandi Kamand, Mandi , Shimla, Himachal Pradesh 175005Minimum Salary ( न्यूनतम वेतन ) : INR 25000Pay scale ( वेतन ) : INR Stipend: Rs.25,000-40,000/- per month based on qualifications and experience. Desirable qualifications ( वांछनीय योग्यता ) : M.Phil/PhD and /or 1-2 years of research experience, working knowledge of Stata and/or R software packages. General instructions ( सामान्य निर्देश ) : 1. The PI has the discretion to restrict the number of candidates to be called for interview on the basis of qualifications and experience. 2. Original certificate must be shown at the time of the interview. 3. PI has the discretion to not hire anyone in case no candidate is found to be fit for the position. Indian Institute of Technology Mandi (IIT Mandi) is recruiting for the post of Research Associate / Project Associate (Post Graduate, M.Com., M.Phil / PhD). Interested Candidates can apply online (http://www.iitmandi.ac.in/administration/advrt/shss_advt_2019.pdf) or offline as suggested by the Indian Institute of Technology Mandi (IIT Mandi). Education qualification for the post of Research Associate / Project Associate (Post Graduate, M.Com., M.Phil / PhD) at IIT Mandi is Master degree in Economics, Management, Commerce, Development Studies or relevant areas with at least 55% marks. Candidate possessing higher than the minimum required qualifications are also encouraged to apply. Last Date to submit your application forms for Research Associate / Project Associate (Post Graduate, M.Com., M.Phil / PhD) is 2019/03/09. 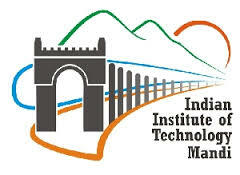 Indian Institute of Technology Mandi (IIT Mandi) is offering salary Rs. 25000 for this post. Total vacancies are 02 for the post of Research Associate / Project Associate (Post Graduate, M.Com., M.Phil / PhD). Click on above Official Website Document link to visit Indian Institute of Technology Mandi (IIT Mandi) website. Find the Apply Online Link on the document or visit home page of website to get more details. Fill in all the necessary details asked in Indian Institute of Technology Mandi (IIT Mandi) Online Application Form. Finally, press submit button to complete IIT Mandi Research Associate / Project Associate (Post Graduate, M.Com., M.Phil / PhD)recruitment 2019 process.